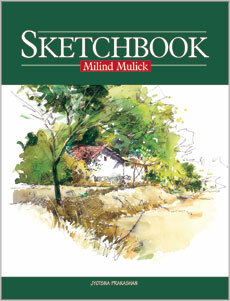 As every artist knows, sketching is the foundation on which a painting is developed. 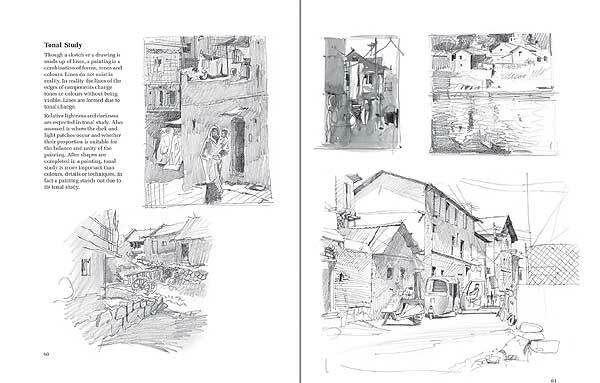 In his masterful way, Mulick explains the use of pencils and ink as well as colour to make sketches. 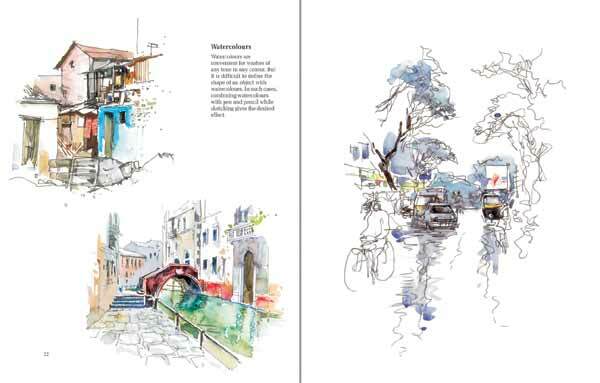 From the rapid, minimalist sketches done in a few seconds to elaborate studies, sketchbook brings a happy smile to the reader’s face and encourages him to take up pencil and begin.